Formally founded in 1854, the history of the Florence neighborhood in North Omaha includes businesses, schools, cityhood and a crazy story about being the state capital for a day. It also includes a lot of churches. The townsite was established on faith, with the Mormon Church keeping the Winter Quarters for their westward migration from 1846 to 1848. This is a short history of churches in Florence. Its not complete, so please feel free to share any information, details, comments, pictures or suggestions below. The location of 3,000 cabins and living areas, Winter Quarters surely had a place of worship. Given the Winter Quarters settlers were religious people, its reasonable to assume they established a place of worship in their town. I don’t know whether it actually existed, where it was, or whether it actually existed. In 1857, the Iowa diocese established St. James Episcopal Church in Florence. This early missionary’s salary was paid in part by Davenport businessman Ebenezer Cook, who was part of the group that established the Bank of Florence. Rev. Adams only stayed for a few months though, and the congregation ended with him. In 1857, Rev. Isaac F. Collins established the Florence Methodist Church after serving as a circuit rider in the surrounding area for a several months. In August 1857, a church was built on lot number one on Bluff Street in downtown Florence. Acting as the first school in Florence, 56 students attended there the first year. Apparently though, with the economic Panic of 1857 the Methodists could not maintain their building and were forced to give it to creditors that same year. Rev. George Barnes picked Florence over Omaha to start the first Baptist church in the area. Even though it looked like a sure shot in 1856 when it was founded, Florence didn’t flourish as much as Omaha and the church folded within a few years. Founded in 1895 as the Florence Christian Church at N. 29th and Willit Streets, today its home to the House of Jacob. Located at 8929 North 29th Street, the Florence Christian Church was also called the First Christian Church. The Florence Christian Church moved into a new building at 7300 Northridge Drive in 1961, and continues operating today. Reverend Eben Blachly was the first Presbyterian missionary in Florence, arriving when the town was founded. Established in 1857, the Florence Presbyterian Church is still located at 8314 North 31st Street. After having three ministers and moving around members’ houses over and over in its first three years, the church stabilized and grew. Hard times came and went, and for a long time the church worshipped in the second floor of the Florence City Hall. In 1897, they dedicated their first church, and they built their current church at 8314 North 31st Street in 1950. Built at 8202 N. 31st Street in 1904, the original St. Philip Neri Church burnt in 1959. The 1922 school is to the right. Located at 8200 North 30th Street, St. Philip Neri has a long history in the Florence neighborhood of North Omaha. Established at N. 31st and Grebe in 1904, the parish opened a school in 1922. The original church was used as classrooms starting in 1953, when a new church was built at North 30th and Grebe Streets. The original church served as classrooms for the school until 1958, when both buildings were demolished and replaced. St. Philip Neri parish and school continue operating today. In September 1888, the Reverend William Pearson began Episcopal church services in a school house in Florence. In 1891, St. Mark’s was built with gifts from local Bishop Worthington and a friend on land given by the Florence Land Company for $2,000. By 1893 though, the church was reduced to only holding occasional services because of a lack of interest. The congregation rebuilt in Benson and moved to North 60th and Girard Streets in 1964. Today, the original church building at 8019 North 31st Street has become home to the Saints of Salvation Ministries. Swedish immigrants started Ebenezer Lutheran Church in Florence in 1903. 12 people organized Florence’s Ebenezer Church with Rev. C.E. Elving. Located at 4th and Washington Streets, the church building was moved from Omaha and rebuilt on the site. After thriving for the next decade, the community was struck by an economic downtown and the church closed in 1915, after just 12 years of operation, and the congregation merged with Trinity Lutheran Church. A 1920s postcard of the Notre Dame Academy at 3501 State Street in Florence. Reverend Reuben Gaylord, widely recognized as the father of Congregationalism in Nebraska, preached in Florence in the late 1850s. However, there’s no sign that a Congregational church was ever founded in the community. The Ponca Presbyterian Church opened in the early 1900s, and was located in the Ponca Hills. Rev. George S. Sloan was the minister there for several decades, but I don’t have information on when it closed. One of the most important 20th century religious institutions in Florence was the Notre Dame Convent and Academy at 3501 State Street. Built in the 1920s, its nuns were Czechs who were intended to serve Omaha’s large Czech community. After identifying their need to serve Omaha, the Sisters of Notre Dame bought Father Flanagan’s Seven Oaks Farm, and hired architects to design a large, E-shaped building to serve as a high school. The Notre Dame Academy closed in the 1970s, and today the building serves as housing for the elderly. The Mormon Church’s presence in Florence can’t be stated highly enough. After establishing their Winter Quarters on the west bank of the Missouri River in 1846, they laid out the street grid that became Florence, and constructed many of the original buildings that were sold a decade later to speculators. The Mormon Pioneer Cemetery, home to the hundreds of people who died in the winter of 1846, is located today at 3301 State Street. Used until 1848, LDS Church records indicate 359 pioneers are buried there. In a different location, Omaha’s Potter’s Field Cemetery was started in at least the 1870s, although there’s speculation that the first burials there happened when it was next to Cutler’s Park. Today, its located at 7909 Mormon Bridge Road next to the Forest Lawn Memorial Park. By 1916, Florence claimed to have seven churches, and the next year the city was annexed into Omaha. Since then, churches have come and gone, merged and closed, and in a few cases they’ve survived and flourished. 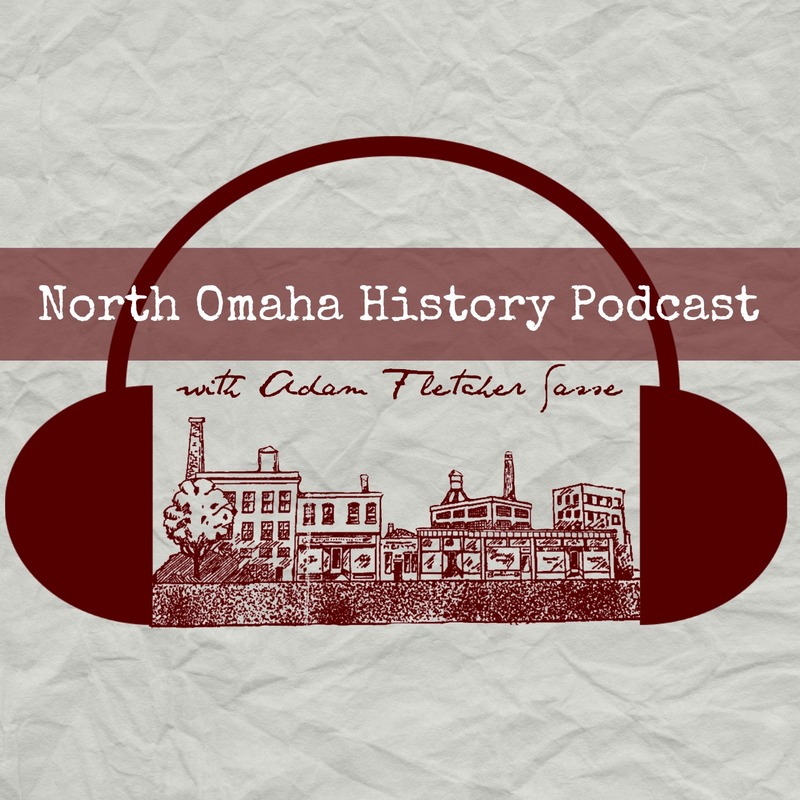 Today, their past fills in more of the important history of North Omaha. The 1922 plans for St. Philip Neri Catholic Church at 8250 N. 31st Street were built, and the school stood until 1959. This is the 1846 map of Winter Quarters made by its settlers. There is no place of worship marked on the map. Thanks Steve, glad you like it! Some Bell towers are different with those we have in Finland. There is a historic marker on near the corner of 48th and McKinley still standing more than 25 years ago that told of a Mormon town there that had paved streets. The last time I was by there someone had trimmed the weeds away from it and folks had been pulling over to read it so no weeds nor grass right in front of it at that time.